Uber Cabs - How it cheats passenger? You are here >> Home >> Reviews >> Uber Cabs – How it cheats passenger? Uber Cabs is now a household name in the cities where it operates. I have a lot of respect for MNC’s including Uber Cabs because of professionalism and transparent approach. Usually, i don’t share negative reviews but sometimes it becomes imperative when i am being cheated. The objective of my blog is to caution the readers against tactics to avoid being cheated. Though Uber Cabs is an MNC brand let’s not forget that drivers employed are Indian Drivers :). From the day of launch, Uber Cabs is in NEWS for all the wrong reasons. Trust me, nothing wrong with the brand, company or employees but because of its drivers. To reign on notorious drivers is a humongous task. I don’t think so that anyone can do this in India. The technology and convenience are responsible for the popularity of Radio Taxi in India. The “Drivers” will be responsible for the Great FALL of Radio Taxi in India. 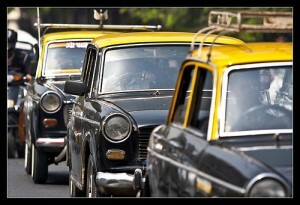 If i ask my readers, have you ever being cheated by Indian Taxi Driver?. The answer will be definite YES. I stayed in various cities in India and found Mumbai Taxi Drivers to be comparatively honest and professional. In other cities like Delhi, Hyderabad, Bangalore, etc., the situation is worse. The drivers find out new ways to cheat customers. With the advent of Radio Taxi’s, the traditional ways of cheating like overcharging, route diversion, etc. are being replaced. The new ways to cheat passengers are cancellation fees and unpredictive dynamic pricing. Unpredictive dynamic pricing is as good as overcharging i.e. traditional way of cheating passengers. I will explain it later in the post. Recently, i booked Uber Cabs for my parents from my residence to International Airport through Mobile App. Thanks to Uber Cabs, being senior citizens they just reached airport on time because of smartness shown by one of the Uber Cabs driver. Before that, it is important to understand how the drivers of Uber Cabs are being paid. There is no official document or info regarding the same. As i understand from one of the drivers of Radio Taxi that they need to complete X no of trips per day. He told me that this count was 5 in his case. They are being paid fixed amount per trip i.e. Rs 200. If the trip is cancelled by the rider, or “No show” by the rider then it is counted as a trip. Here lies the catch. To complete the daily quota of no of trips, a driver may adopt tactics as i faced. Besides cancellation fees, unpredictive dynamic pricing is another way of cheating customers. Let’s discuss these 2 points. Uber Cabs charge a cancellation fees equivalent to min fare. In my case, i booked UberX and min fare/cancellation fee is Rs 75. Immediately after booking the cab, the cab driver called me and told me that he will not go to the international airport. Just to add, the airport is approx 50 Kms from my residence. He said that he is cancelling the trip and i can book another cab. At first place, why the driver accepted a booking if he was not willing to go. Anyways, no problem. I waited for him to cancel the trip. On the other hand, the status on the app was showing that cab is “on the way” and then “Arriving”. I was in a fix whether to book another cab or not. After waiting for five mins, i again called the driver and he told that he has already cancelled the trip. On the app, the status was still “Arriving”. I called again but the driver insisted that he has already cancelled the trip. At the same time, my parents were getting late. To my surprise, after 20 mins, i received the following email from Uber Cabs with subject “Receipt for canceled trip on Wednesday afternoon”. My Paytm wallet linked to Uber Cabs was charged Rs 75 towards cancellation fees. Email: When a trip is cancelled more than five minutes after a driver accepts, or if the driver has to cancel after waiting more than five minutes at the pickup location, a ₹75 cancellation fee is charged. If you think this was a mistake, please visit help.uber.com or tap HELP in the menu panel of the Uber app and we’ll make it right. The mail implies two possible reasons for cancellation (a) I cancelled the trip five mins after the driver accepts the booking or (b) Driver cancelled after waiting for more than five mins at the pickup location. The option (a) is ruled out as i never cancelled the trip. It implies that Uber Cabs arrived at pick up location, the driver waited for five mins and then cancelled. Uber Cabs should apply simple logic and check from GPS whether driver arrived at pickup location or not. Uber Cabs charged Rs 75 as a cancellation fees without checking this fundamental detail. Now, it’s not a question of Rs 75 that is a small amount but question of being cheated. Assuming pan india 2,000 customers are cheated daily i.e. 200 per city per day then the collection is cool 1.5 lac per day or 45 lac per month :). Wow !!! I escalated the matter to Uber support and received the following revert through email. Sorry to hear about the trouble with this pickup. The fee for cancellations is applied automatically after 5 minutes because your driver makes a commitment to come pick you up. In this case, I added Uber credits in the amount of your cancellation fee to your account. You can use these credits on your future trips, which I hope go as seamlessly as you’d expect. I’m going to update this on your driver’s account now and we’ll be following up right away to address this. We have a certain set of quality and safety standards that we expect all of our driver-partners to meet, so it’s important that we know of a concern like this so we can address it appropriately. If you ever feel like you’ve been charged unfairly, we’re always happy to take a look. Safety and accountability is built into the Uber experience, before, during and after a ride. Read more. Though the Uber Cabs has credited “credits” in my account against the cancellation fees, i am not going to use Uber Cabs in future. It’s a good business model to cheat passengers and those who complaint reverse “credits” instead of currency. When i was booking Uber Cabs, i received pop up about Surge Pricing. I accepted booking at 1.4 times or 40% extra charging. On many occasions, the surge pricing was as high as 2.1 times i.e. more than double & i skipped booking. In past, i shared a post on Dynamic Pricing by E-Commerce players. The dynamic pricing by Uber Cabs is nothing but overcharging by cab drivers. As a customer, I am perfectly OK with dynamic predictive pricing. As the Uber Cabs is on demand radio taxi, i.e., you cannot book in advance. If i need a cab right now within five mins and Uber Cabs told me that they will charge double the regular fare. As a rider, i don’t have any other option but to accept it. In short, what is the difference between overcharging by an ordinary cab driver on-road and Uber Cabs. To explain dynamic predictive pricing, i will share an example of one of my favorite restaurants. This restaurant charges a different rate for weekdays and weekends. On weekdays, a buffet cost Rs 649/= + tax. Whereas on weekends, it is Rs 849/= + tax. It is perfectly fine as the pricing is predictive. On the other hand, assume you are feeling hungry and reached the restaurant. Now at the entrance of the restaurant, you are informed that today’s price is Rs 1249/= + tax. What will you do?. It is unpredictive dynamic pricing. The best way to handle this situation is to publish peak hour rates and non-peak hour rates. It will make dynamic pricing predictive in nature and rider will not mind paying. Also, in dynamic predictive pricing, the customer knows in advance whether he would like to avail the service or not. For example, if i am not comfortable with the weekend rates of the restaurant then i will fix some other restaurant in my budget. Similarly, as a customer Uber Cabs should inform/publish the tariff in advance rather overcharging at the time of booking. After this ordeal, i booked another popular radio taxi at the regular fare. I uninstalled Uber Cabs application from my mobile and gave a one-star rating for cheating, wasting my half an hour and causing inconvenience.